It’s been a while since I’ve graced the pages of Dennis Publishing’s popular weekly Micro Mart, with my last being a cover feature on the ARM architecture in Issue 1235 followed by a feature on Valve’s Steam Box console plans in Issue 1251. For this latest issue, I’ve penned a review of the Raspberry Pi 2 single-board computer as kindly supplied by low-power computing specialist New IT. 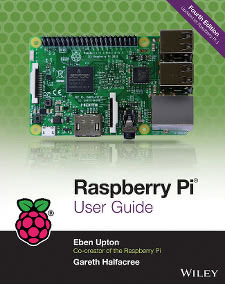 As the author of the Raspberry Pi User Guide, which will be entering its fourth edition by the end of the year, I can safely say I bring a certain amount of knowledge to the table for this particular topic. The Micro Mart coverage is one of the first print reviews to be published, with a longer review due to appear in my Hobby Tech column in a future Custom PC Magazine issue. The Raspberry Pi itself, of course, needs little introduction. In its most recent revision, properly known as the Raspberry Pi 2 Model B, the team have replaced the ageing Broadcom BCM2835 single-core ARMv6 system-on-chip (SoC) processor with a specially-designed drop-in replacement: the quad-core ARMv7 BCM2836. The result is a device significantly more powerful than its predecessor, but one for which software to take full advantage of its capabilities is still thin on the ground. If you’d like to read the full review, Micro Mart Issue 1349 is available in all good newsagents, most supermarkets, or digitally via Zinio and similar services.